Last week in California a United States Bankruptcy Court entered an order permitting the bankrupt debtor to sell high-value, low-basis real estate in a "collateralized installment sale" or "C453" transaction to defer the tax on the gain. I would not have expected C453 to prove useful in bankruptcy situations, but it certainly was here. Here are the facts: Allen, an astute and successful businessman, saw his business investments go sour in the Great Recession. 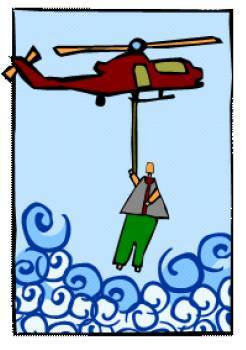 He tried to hang on, but to do so he needed new bank financing, which, as it turned out, was not available to him. He was left with no alternative but to pursue a discharge from his debts in bankrupty court. Allen has for many years owned a residence overlooking the ocean, with almost no cost basis. It is now very valuable. He could sell the real estate—and has a ready, willing and able cash buyer—but if he were to sell it in the usual way there would be insufficient sale proceeds, after taxes, to pay his creditors in full. If, however, he sells the real estate to S.Crow Collateral Corp. on a C453 installment contract, he can defer the tax for many years. S.Crow Collateral Corp. can re-sell the residence to the ready-and-waiting buyer, for cash. The lender with which S.Crow Collateral Corp. works can lend Allen sufficient money to pay all of his creditors 100% of the amounts owed, with a considerable sum left over, for him to invest and from which eventually to pay the tax on the gain on sale, when the tax will be due many years from now. Moreover, S.Crow Collateral Corp.’s payments to him on the installment contract will fully fund his repayment of the new loan. And with the blessing of the bankruptcy trustee, that’s precisely what the U.S. Bankruptcy Court approved. This will let Allen get back on his feet financially. Nothing other than C453 could do this for him.